Modern contemporary Chinese restaurant Mitzo, located at Grand Park Orchard, isn’t quite well-known for its alter-ego as a bar. After all, the Cantonese fine dining restaurant is a lot more celebrated for its excellent roast and barbecued pork, as well as its modern take on dim sum. 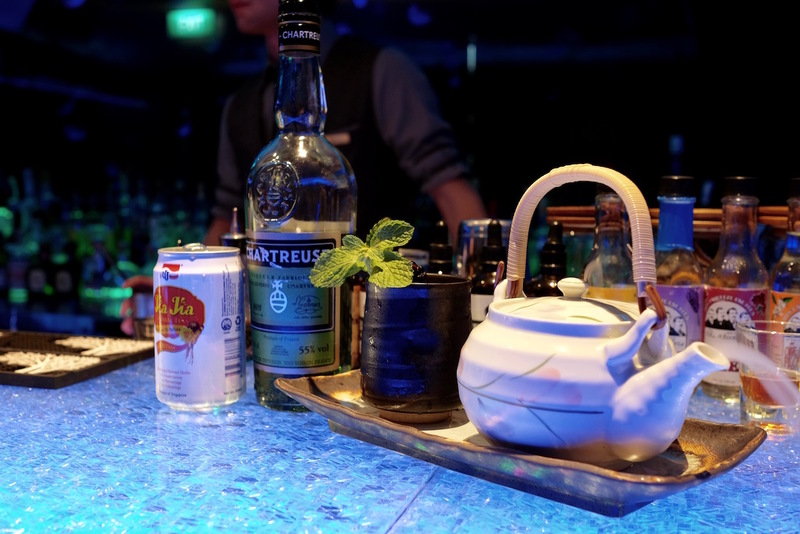 But Mitzo’s bar programme – led by bar manager Marco Pignotta – is similarly progressive, combining current bar trends with the use of ingredients more commonly used in traditional Chinese medicine. It has recently added four new cocktail additions to its offerings, most of which follow that self-same philosophy while reinventing cocktail classics. Lovers of the Negroni would enjoy the Uncle Negroni (S$22++, above). 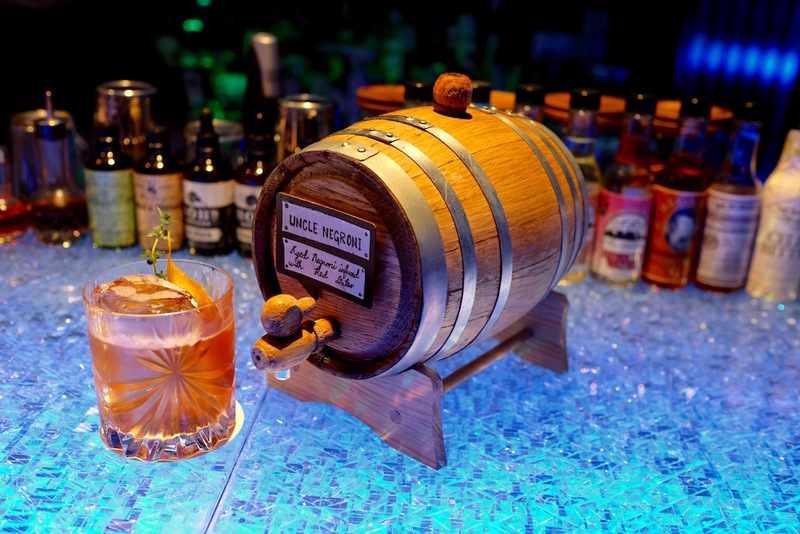 Instead of the usual gin, Uncle Negroni instead uses a genever that’s been infused with red dates, combining it with Vermouth del Professore and bitter Campari, and then ages it in an oak barrel for a month. It’s woody, bitter-sweet, and slightly herbal from the red dates. Then there’s the Chinese Collins ($24++, above), an Asian take on the Tom Collins that’s reinterpreted using Chinese herbal tea – the iconic kopitiam favourite Jia Jia liang teh, no less. Haymans Old Tom gin, Chartreuse green, combine with goji berry syrup, lime juice and aforesaid herbal tea that got some sparkling treatment for the kind of medicinal tipple one wishes to have instead when feeling ill. The Le Sommelier ($24++, above), on the other hand, is a mulled wine cocktail inspired by the late Jerry Thomas, also known as the “father of American mixology”. 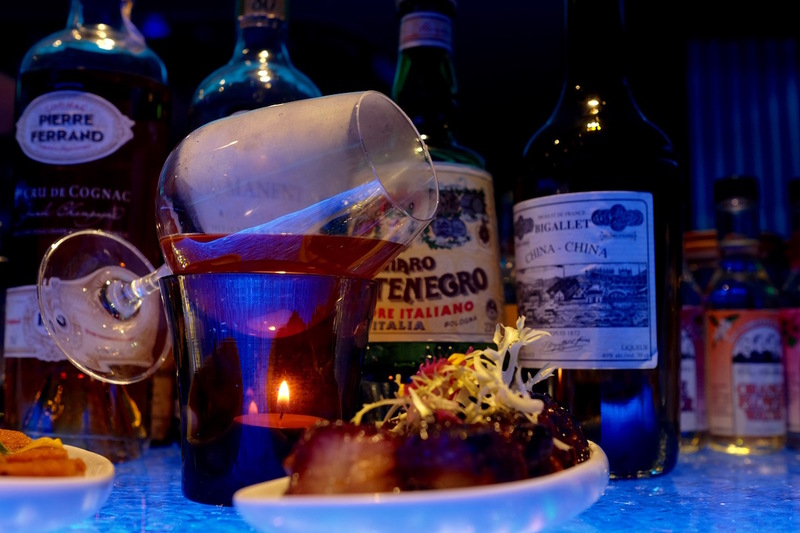 The hot drink of Pierre Ferrand cognac, Amaro Montenegro, Bigallet China China, as well as spice-infused Sauvignon Blanc is entirely spirit-forward and soul-warming. The final addition is not exactly a new cocktail per se. But the Ultimate Gin & Tonic Experience ($24++, main picture) does allow you to choose from a variety of gins and different tonics as well. A fun but different take? Garnishes – fruits such as grapes, raspberries, blackberries, as well as herbs like rosemary, thyme, mint or basil – that come frozen in ice cubes. With these new additions, hopefully Mitzo will finally land itself on Singapore’s cocktail map as a viable drinking destination instead of just an awesome modern Chinese restaurant.